First and foremost I apologize for building this blog up and then letting you all down last night! My evening got crazy busy and before I knew it was 9 o'clock and I was just trying to find some dinner. A girl needs dinner guys, face it! I knew you would understand but I try to do what I say I will do and so, well, my apologies. I slept in today, it felt awesome! In fact I have my favorite candle burning and listening to Pandora and just trying to get out of this little funk I am in. I love snow the day it falls and then I find it slightly depressing. I am excited however to receive the rest of the products for the 1,000 Fans Giveaway I promised. I guess I underestimated how fast it would happen and wasn't quite prepared. I am hoping to receive them all this week so over the weekend I can do a big announcement and fill you all in on how to enter! In the meantime I got this idea I wanted to make pizza dough, lots of it and to do some different things with it. Well, the first turned out so well, I didn't even continue. As I sat eating my PizzaBon, I couldn't help but consider of all the things I could have turned out to be, I became a genius. *hardy har har*. I patted my own head, patted my self on the back and devoured this pizza goodness, planning the next time I could make it! 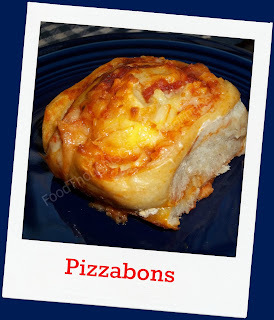 Using the same idea as a cinnamon roll, I used pizza dough, and for filling used pizza sauce and cheese! Next time, I will add some browned off hot Italian sausage, and I will add some red pepper flakes. To get started you need to make some dough which you can find here Pizza Dough. It is amazing dough. You will need 1 1/2 cups to 2 cups of cheese. Does it matter I used like almost 3 cups? Well I did, so don't judge people. You could change up the cheese to anything you want, I used mozz. Purist, remember? 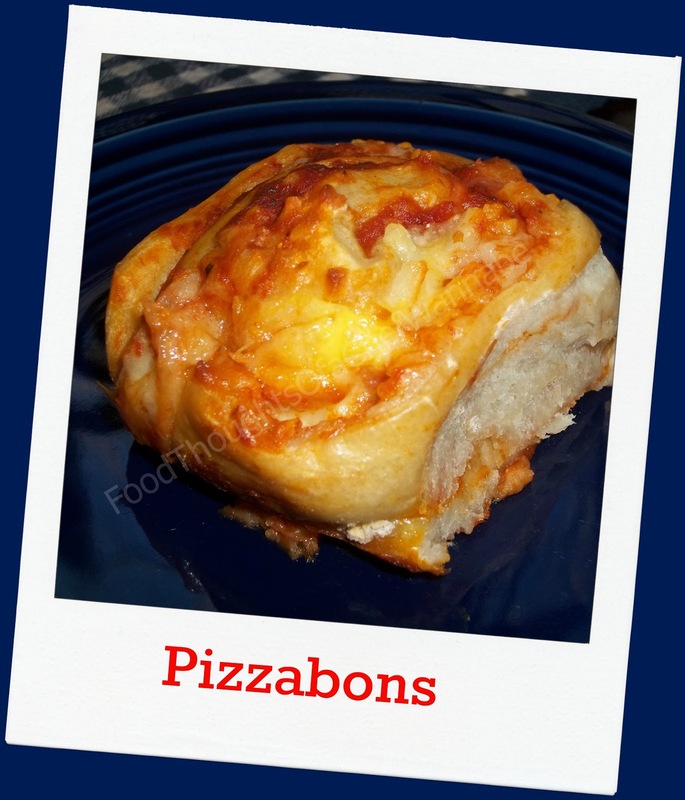 You could even add some pepperoni or finely browned Italian sausage! After it rises, roll it out like this. Spread on the pizza sauce, and then sprinkle on cheese. Roll it up just like you would cinnamon rolls. Slice into the size rolls you want. I got 9 out of mine. Place in greased pan, cover and let sit for 30-45 min in a warm place. Bake 25-32 minutes. Just have to check at 25 and see where you are. Let stand about 5 minutes or the molten lava cheese will burn your chin. (NO, I didn't have this happen to me...ok so I did). Delish and now with the next batch the edition of hot sausage and red pepper flakes it is going to be even better!! Nice little hand held pizzabon!! I hope you try them!! I think it is Davette!! Do it!! These are crazy good!